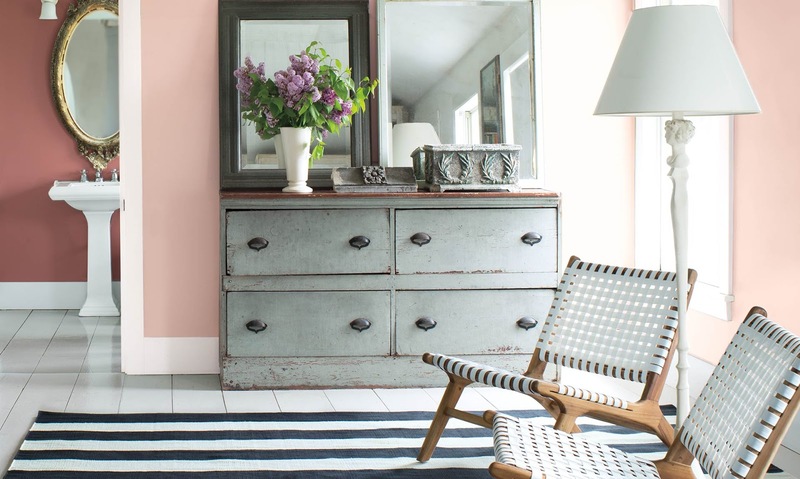 The news is out, and Benjamin Moore has just released their color of the year for 2018. Although we love this color, we didn't expect it to be the color of the year. The chosen shade? Caliente AF-290. 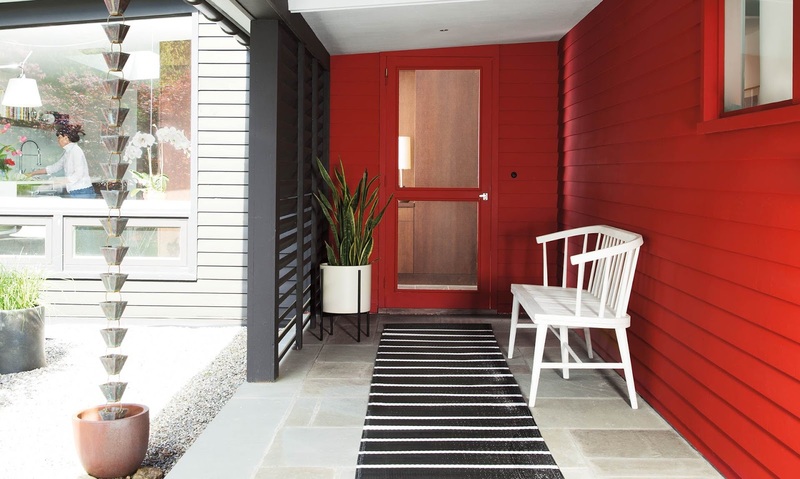 Caliente gives a nice pop of color on this front door leading into a home with modern decor. Want to make a dramatic statement on the outside of your home? 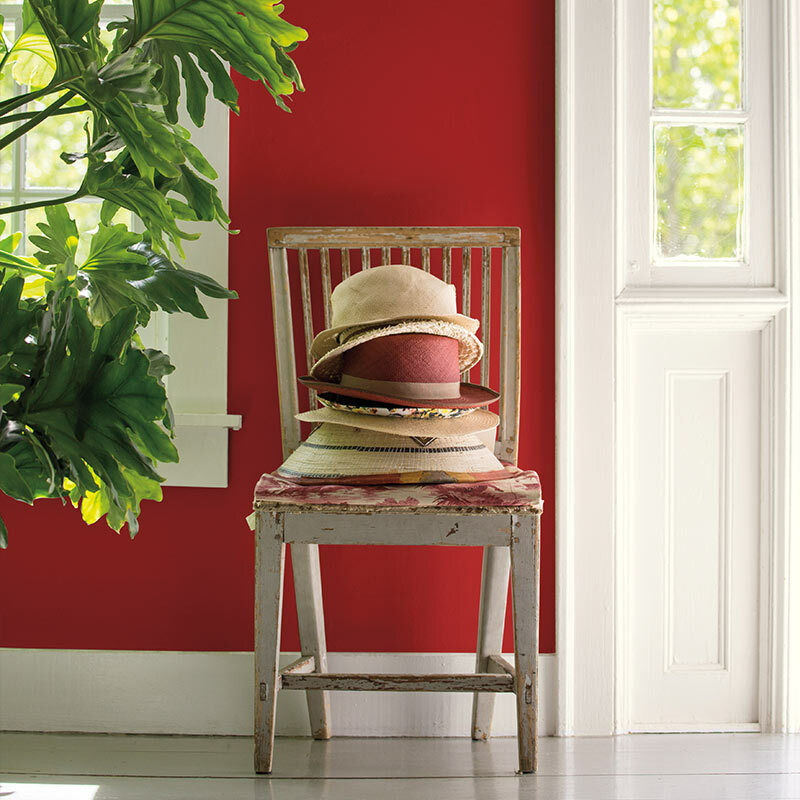 Paint your entry area with Caliente! 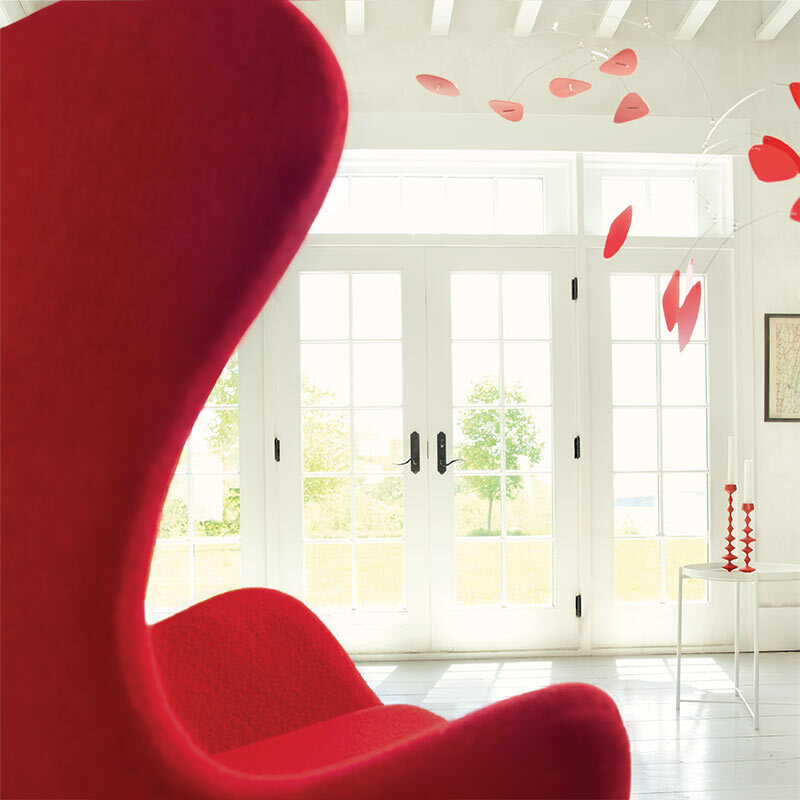 We've always heard that red walls evoke romance. Do you think that's true? 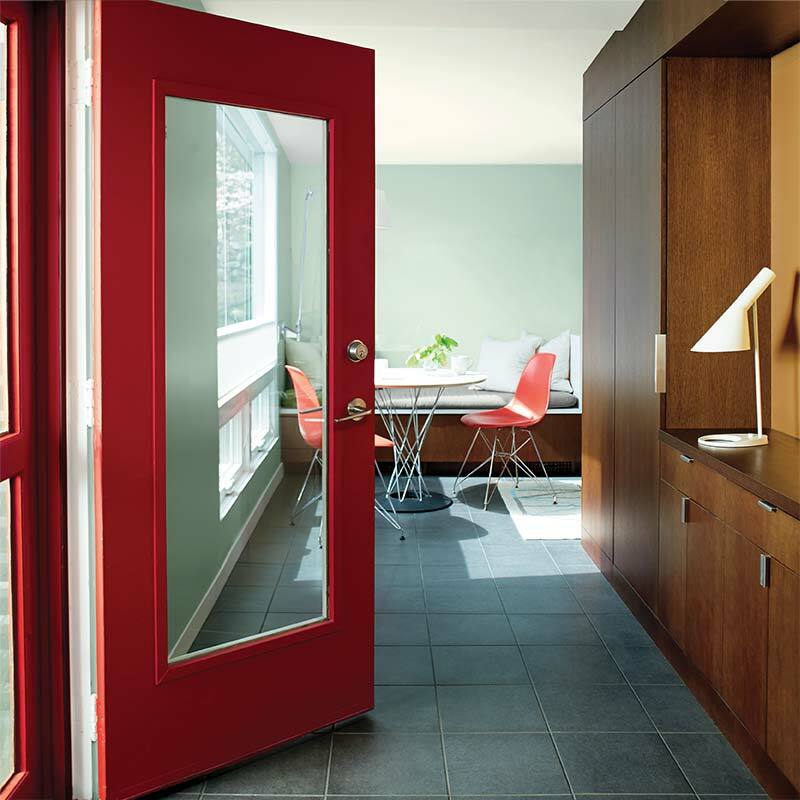 In this room, Caliente mixes nicely with the Opulent White trim and the Stone color door. It really gives a nice nautical vibe. 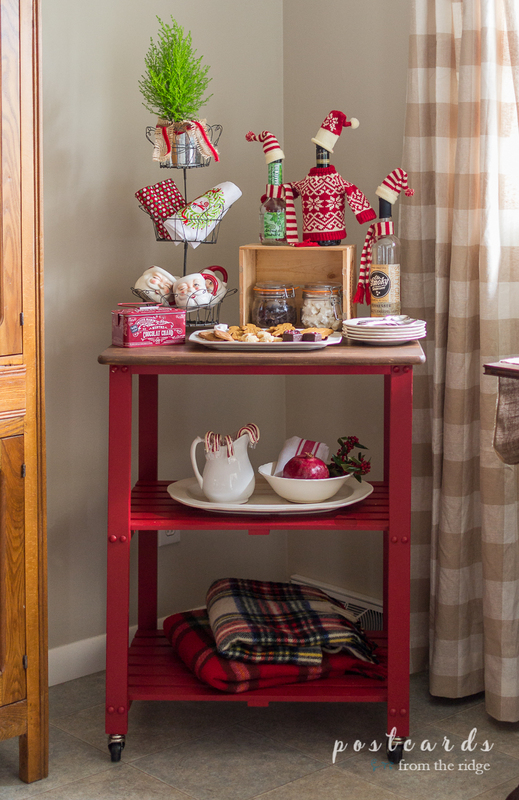 Red is always a great color for a dining area since it's a color that stimulates appetite. It really pops against the Opulent White trim in this eclectic space. Bathrooms are always a great place to add a dramatic pop of color since you usually don't spend too much time in there. Plus there's not a lot of wall space in most bathrooms. 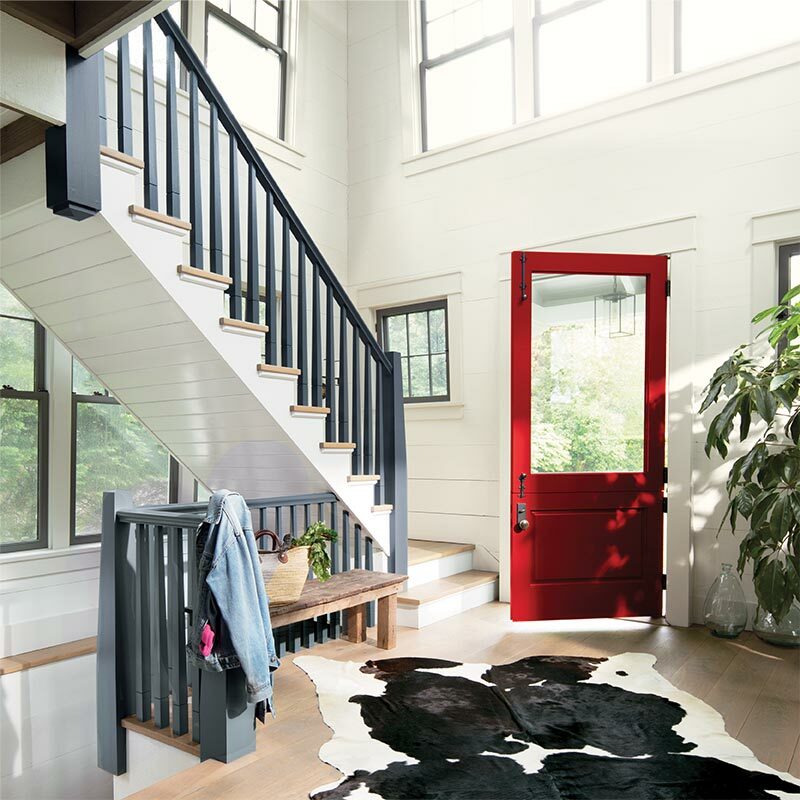 Used in this space with the Opulent White shiplap walls and the Wolf Gray staircase railing, it definitely has a farmhouse vibe. Also released is the Color Forecast for 2018, including these two rose colors. The lighter one is Pleasant Pink, and the darker one in the background is Texas Rose. I've personally used the Pleasant Pink color in one of our daughter's rooms and it really is a pretty shade of pink. Not too bright or garish. 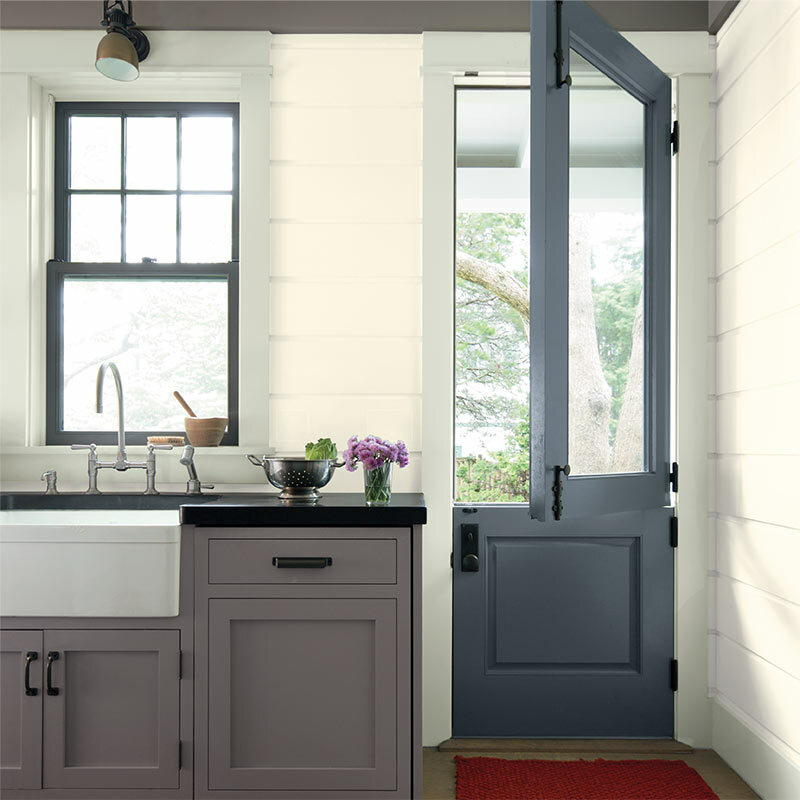 Blues and grays mix well with the Caliente as seen here with the Stone cabinets and Wolf Gray door. 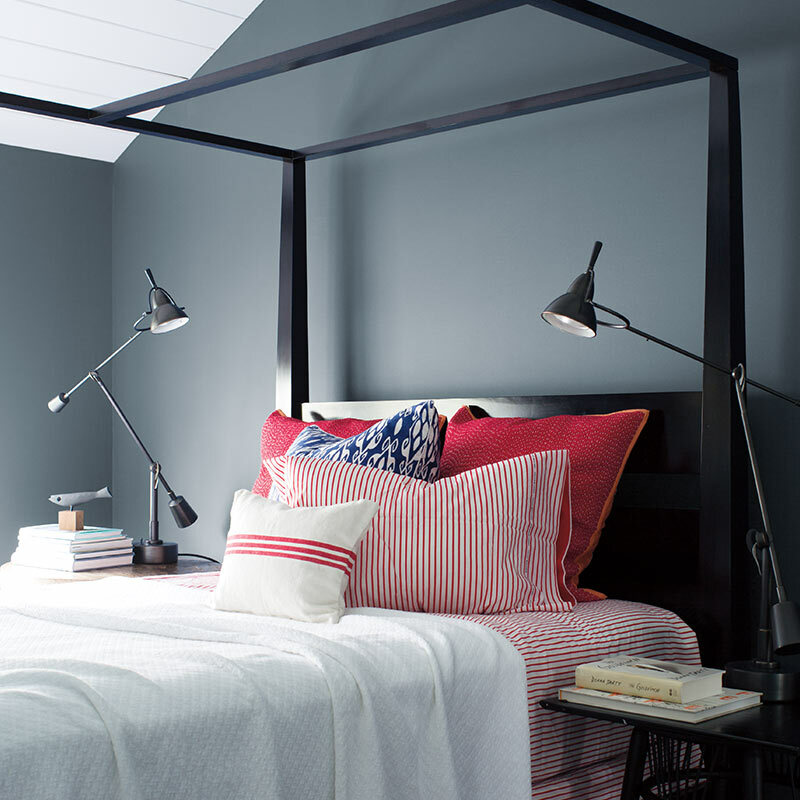 The cool Wolf Gray balances the hot reds in this room. 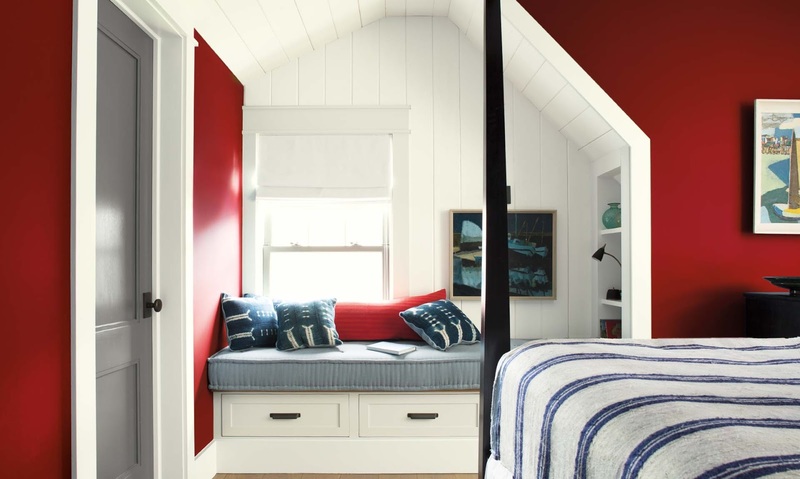 Another great space, this bedroom with the cool walls and pops of red would work well in a modern farmhouse style home or a beach house. What do you think? Is this color a winner? Where would you use it? 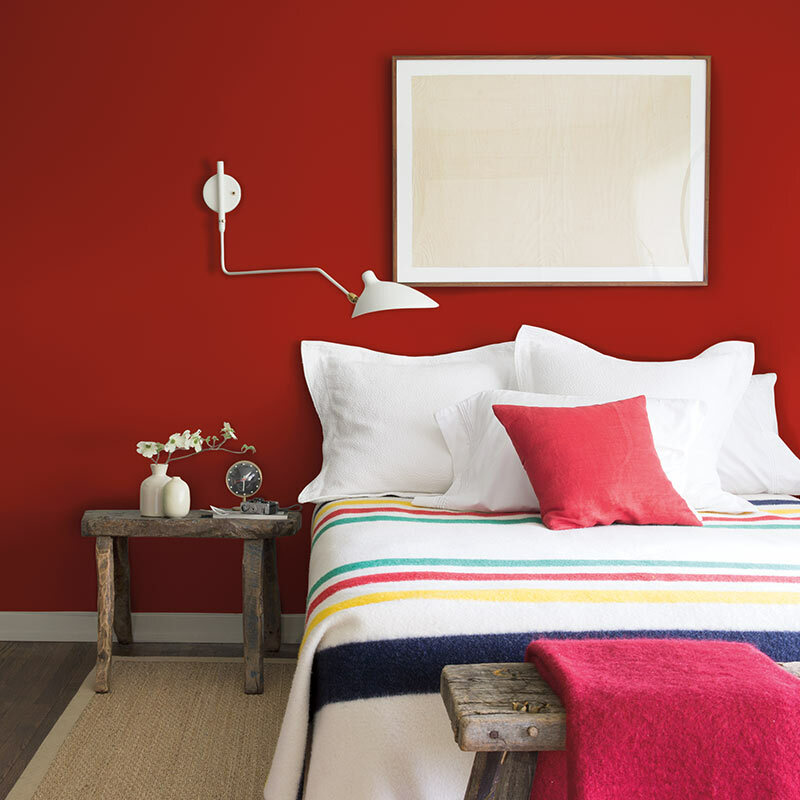 For more paint color ideas, click below.